One of the most beautiful of all exotic flowers, the bird of paradise plant is often grown indoors. In order to make bird of paradise flower, the proper growing conditions must be met. The following articles can help with this. Learn how to care for bird of paradise in the home, or even outdoors, and use the bird of paradise growing tips to enjoy this lively, exotic plant. Can you move a bird of paradise plant? Yes is the short answer, but you need to take care in doing so. Whatever the reason is, be prepared for a big job. This article will help with tips on how to transplant a bird of paradise in the landscape. Bird of paradise gets its name from the brightly colored, spiky flowers that look like a tropical bird in flight. It?s a showy plant, which makes it all the more devastating when it runs into trouble. Learn more about bugs that attack bird of paradise plants here. Bird of paradise, also known as Strelitzia, is a striking plant, so it can be a real blow when it falls victim to a disease and stops looking its best. Learn more about common diseases on bird of paradise plants and methods for treatment in this article. Let's talk about how to fertilize bird of paradise plants. The good news is that they don't require anything fancy or exotic. 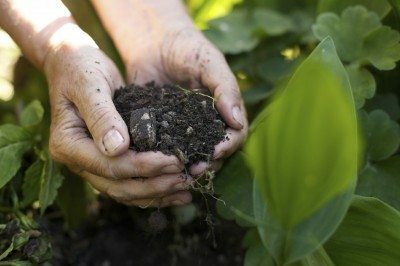 You can provide a natural fertilizer in your garden with a layer of mulch and regular feedings. Learn more in this article. Sometimes, despite your best efforts, bird of paradise plants develop yellow leaves due to problems with lighting, watering or pests. 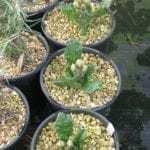 Find out if your yellowing plant can be saved in this article. Click here for more information. Whether indoors or out, bird of paradise plants require bright light, well-drained soil and adequate water through the growing season. 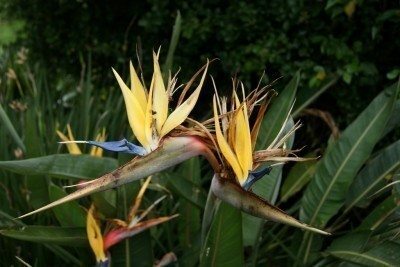 Read this article to learn how to take care of birds of paradise in the garden. Click here for more info. Bird of paradise freeze damage can be as mild as winter burnt leaves to stem and trunk freezes. A few tips from this article will help you protect bird of paradise from freezing and can help you learn how to heal bird of paradise plant freeze damage. Few plants evince the exotic tropics like the bird of paradise. The unique flower has vivid colors and a statuesque profile that is unmistakable. Read this article to learn more about the types of bird of paradise plants. Leaf Curl On Bird Of Paradise Plants: Why Do Bird Of Paradise Leaves Curl? In unfavorable sites and conditions, you may notice curling leaves on bird of paradise. There are several reasons for this and the following article can help you narrow them down. 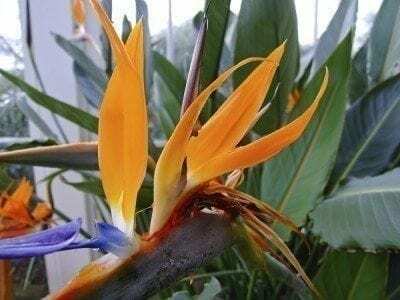 Birds of paradise are easy to grow and do not often bring many problems; however, they do require a warm and humid climate. They may also need to be deadheaded as explained in this article. To keep these plants thriving, or simply start plants of your own, you can learn how to propagate birds of paradise. Propagating bird of paradise is a common practice, and tips from this article will help. The growing and care of Mexican bird of paradise plant isn?t difficult; however, this plant is commonly confused with the other species in this genus. This article will explain the subtle differences between them. Bird of paradise is a popular houseplant, or garden addition in warmer climates, producing beautiful flowers reminiscent of flying birds. But what do you do when there are no flowers? Find out here. Perhaps your bird of paradise has become too crowded or you simply want to create additional plants. Knowing how to divide a bird of paradise would come in handy. This article can help with that. While most people know how to grow a bird of paradise, how to trim a bird of paradise plant is another thing. In the right conditions, pruning birds of paradise is oftentimes necessary. Learn more here. Bird of paradise plants are a popular houseplant and for good reason. The blooms are bright, unusual and lovely. To ensure its success indoors, this article will provide tips on growing bird of paradise houseplants. Bird of paradise is one of the most beautiful of all exotic flowers. 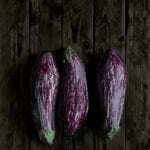 Get tips on growing this beautiful plant with information that can be found in the article that follows.